When you first bring your baby home, you want to keep him or her as close to you as possible. That’s what bassinets are for, right? If that still isn’t close enough and you want to try out co-sleeping to strengthen the bond between you and your newborn, then you want to do so safely. A co-sleeper bassinet is one of the best ways to help you and your baby adjust to your home. You’ll be able to sleep right next to your little one, and easily monitor their cries for you. Some co-sleeping bassinets sit right in bed between you and your partner, while others are mounted on wheels, so you can move it closer to you next to your bed. Let’s go over a handful of the best co-sleeper bassinets available now. The SwaddleMe By Your Side Sleeper is a co-sleeper bassinet that considers both the baby’s and parents’ comfort. Your baby will be safe in the sturdy bassinet, so you won’t have to worry. Plus, the sleeper was designed with mesh sides, so your baby doesn’t overheat throughout the night. The sides are cushioned, but strong and made with metal, so when you bump it, your comfort is also ensured. However, the metal ensures you don’t roll over onto your baby in the middle of the night. The sides aren’t too stiff, though. There’s a wall that compresses, which makes it easy for you to reach in to soothe your baby with a pacifier or pull them out for feedings. The pad at the bottom of this co-sleeper bassinet is easily removed and it’s machine washable because accidents are going to happen. The fitted sheet is also removable and can be machine washed using baby detergent or regular. You can quickly fold the bassinet flat, which makes it easy to travel with, too. The bassinet is soft, so your baby should be comfortable throughout the day and night that they’re sleeping next to you. While this is a simple sleeper, it’s well made. So, you don’t get the extras, like lullabies and nature noises, or a nightlight, but you do get a high-quality co-sleeper bassinet. To top it off, this co-sleeping unit is affordable. The MSRP is $35.99 for the SwaddleMe By Your Side Sleeper, but be sure to check the current SwaddleMe By Your Side Sleeper – Amazon price here. Co-sleeping doesn’t have to mean in bed with you, so HALO designed its Bassinest Swivel Sleeper to give you room in bed to stretch out, but also keep your baby close. The HALO Bassinest Swivel Sleeper was designed to slide close to you, with its wheeled legs under your bed, and the bassinet right next to you, as if your newborn was sleeping in the same bed with you. 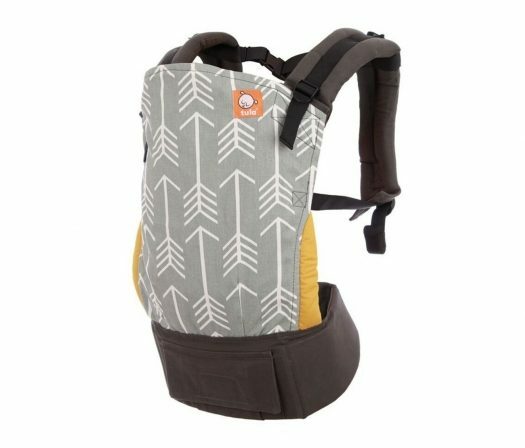 The sides are sturdy but collapsible with enough pressure to make it easy for you to reach in and pull your baby out. After you do so, though, it pops back into place, which is a nice safety feature. The legs themselves are extremely sturdy, so even if it’s inadvertently bumped, it should stay in place. Also, the co-sleeping bassinet can swivel 360 degrees, so you can place it horizontally or any other way you need it. The base is adjustable, so you can keep your baby at the same height as you while you lay in bed. The mesh sides keep your baby from getting too hot while they sleep, and you can see inside. This isn’t just a bassinet, though. You also get a control pad on the side that allows you to set a nursing timer, play soothing music or white noise, turn on a nightlight, and even activate vibration at two levels to help your baby fall asleep faster. The MSRP is $249.99 for this co-sleeper bassinet from HALO, but be sure to check the current HALO Bassinest Swivel Sleeper – Amazon price here. Sharing a bed with your baby has never been easier than with the SwaddleMe By Your Bed Sleeper. The hard plastic legs hold a flexible, but strong bassinet with mesh sides. The mesh keeps your baby cooler as they sleep, and you can get a good view of your baby without having to sit up. This is the type of co-sleeper bassinet that sits by the side of your bed, rather than in it. You can easily pull it closer to you, and the legs slide under your bed. The legs of this bassinet are adjustable, which means you can set it higher or lower, so it’s even with your bed. Plus, you can adjust the angle of the head of the bassinet, placing your baby at a slight incline for easier breathing and even for bedtime stories. This co-sleeping unit includes vibration to soothe your baby to sleep, plus some lullabies, and a nightlight. Unlike some other co-sleeper bassinets, this one is set up on hinges to allow you to rock your baby to sleep, as well. The insert is machine washable, so you can easily keep this clean, too. Just make sure to use a gentle baby detergent. It’s easy to assemble and easy to adjust to whatever height you need. Plus, you can easily slide this to the side while your baby sleeps, and crawl in or out of bed without disturbing them. The MSRP of the SwaddleMe By Your Bed Sleeper is $99.99, but be sure to check the current SwaddleMe By Your Bed Sleeper here. Sometimes the simplest design makes for the most versatile, and the DockATot Grand Dock co-sleeping bassinet seems to follow that rule. Starting out, it makes tons of sense to co-sleep with a newborn. It provides babies comfort and it can strengthen the bond between baby and parents. It’s also a popular way of sleeping for older babies who aren’t quite ready for a crib, and the Grand Dock makes that possible. Simply place your baby in the co-sleeping bassinet and then situate it in between you and your partner. The bassinet is soft but has thick walls to prevent your baby from rolling over onto your bed. The adjustable straps at the bottom of this co-sleeping unit can be undone to lengthen the bassinet to allow for growing babies. So, you can easily accommodate a toddler in this bassinet and then transition to their new baby crib when they’re ready. This is also lightweight, so you can easily travel with it. Additionally, the DockATot Grand Dock is completely washable, so you can keep the whole thing clean. Although this is a very soft item, it’s still firm, which helps keep a baby feeling secure. It’s a bassinet that grows with your toddler, and it can be used up to 36 months – so, it can even help with transitioning to a big-kid bed. The MSRP is $260.00 for the DockATot Grand Dock, but be sure to check the current DockATot Grand Dock here. Some co-sleeper bassinets seem as expensive as an actual crib, or a well-designed stroller, but The First Years Close and Secure Sleeper proves you can co-sleep affordably. The soft mattress pad is comfortable for your baby, and the cushiony sides are soft for you if you bump into it at night. It’s a narrower co-sleeper bassinet, which means it’ll fit easily in your bed, whether you have a queen or king bed. Like the more expensive ones, this co-sleeping unit includes a nightlight at the top, which lets you check in on your little one without having to turn on a blinding bedside lamp. Because this in-your-bed bassinet is so flexible, you can easily fold it and bring it with you while traveling – it includes a soft handle at the center for easy carrying. Making it the ultimate addition to other travel gear such as baby backpacks and convenient travel pens like the Graco Pack ‘n Play. The sheet and cover are machine washable, so you can keep it clean easily. The sides of this co-sleeper bassinet are short, so you can easily see your baby next to you. Other extras, like lullabies and vibration, are not included in this unit, but that’s what keeps the price so low. Everyone needs to get as much sleep as possible: mom, dad, and baby, and a co-sleeper bassinet like this one can make it possible at a surprisingly affordable price. The MSRP of The First Years Close and Secure Sleeper is $29.99, but be sure to check the current The First Years Close and Secure Sleeper here. Bringing home your little one is exciting, but your joy can quickly turn to frustration if no one can sleep. If your newborn is having trouble sleeping in the bassinet you bought for them, then co-sleeping may be the solution. A co-sleeper bassinet, whether it’s in bed with you or on a set of legs with caster wheels, can help everyone feel more secure. Plus, it’s the safest way to co-sleep with your baby. All these co-sleeper bassinets will help you sleep, knowing your baby is safe and comfortable, you can tend to their needs whenever necessary, and your little one will feel closer to you. And when your little one is ready to upgrade to a crib, be sure to check out Best Baby Cribs right here!